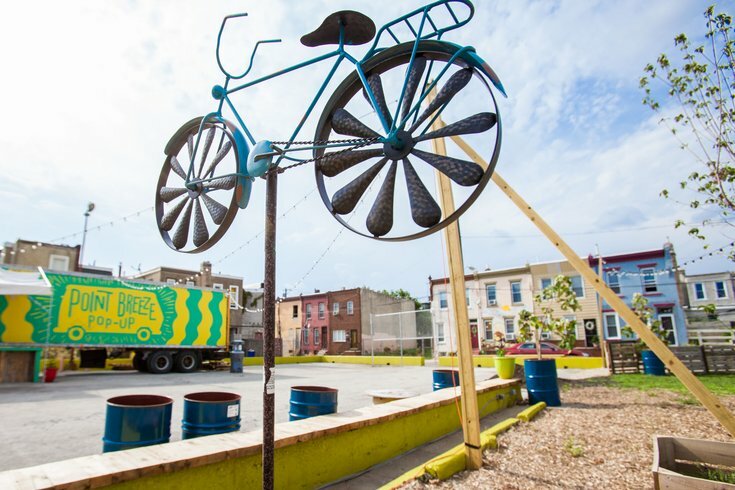 The Point Breeze Pop-Up Garden opened in May. A beer garden that has been shut down twice in the past two weeks reopened on Saturday. Point Breeze Pop-Up Beer Garden on 1622 Point Breeze Avenue has been locked in disputes with the city’s Department of Licenses and Inspections over zoning issues. The beer garden opened in May, then got a cease and desist letter for improper zoning on July 8. The garden reopened three days later after a municipal court judge ruled that the venue should still be permitted to operate in the midst of the zoning dispute. Then on July 16, the garden got shut down again. Could a Point Breeze pop-up garden bring commerce back to 'The Breeze'? At this point, the pop-up has been popped down so often that the owner may be feeling a little like bubble wrap. "There is too much red tape. There is too much bureaucratic nonsense," said developer John Longacre told CBS 3. He says that he spent $60,000 to fix up an abandoned, trash-filled lot, and that he has “no idea” why the city is fighting him. Longacre wants to build 53 residential units in the 30,000-square-foot lot after the garden closes in September. However, approval for the development is pending. If Longacre’s previous interactions with the city are any indication of what’s to come, there may be more than a few roadblocks in his way.